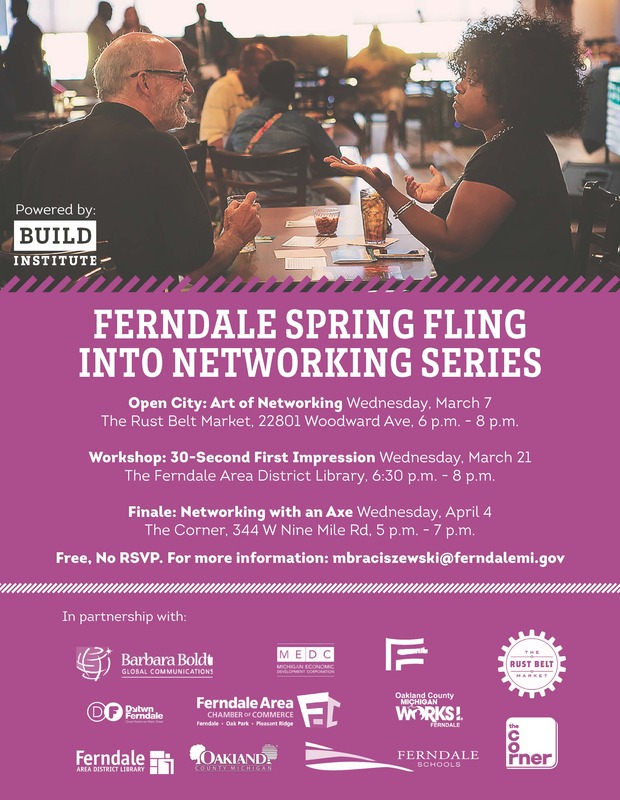 Build Institute is partnering with the City of Ferndale to provide a series of classes and activities to support aspiring and experienced entrepreneurs and small businesses. Classes are open to Ferndale residents, people who work in Ferndale, and/or anyone looking/intending to open a business in Ferndale. Demand is very high for Build classes; acceptance is on a first-come first-served basis. For more information about Build programming, visit buildinstitute.org/ferndale. Build Institute's core 8-week business and project planning class is designed for aspiring and established entrepreneurs. Classes are taught by local experts and cover all the basics of starting a business–from licensing to financial literacy, market research to cash flow and more. You’ll leave the class with a completed business plan, a cohort of fellow entrepreneurs in Ferndale, and the knowledge and confidence to take your idea to the next level. Visit Build to learn more about the class curriculum and register for the next workshop series. Build Institute’s GROW Peer Roundtable is a forum for second-stage business owners located in Ferndale to explore the key issue of growth. Membership in GROW connects members to an expanding and diverse group of business leaders and serial entrepreneurs. Members meet twice a month with an advisory group of 5–10 non-competing small business owners in a confidential setting. Meetings are facilitated by a third-party advisor to ensure that all members have equal floor time and voice in getting help with key business decisions. Open to any current Ferndale-area business owner looking for support, advice, camaraderie, and accountability from fellow Ferndale-area business owners. Visit Build to learn more about the class curriculum and register for the next class series. Every other Wednesday. 3-5 p.m. The Corner / Detroit Axe, 344 W. Nine Mile Rd.